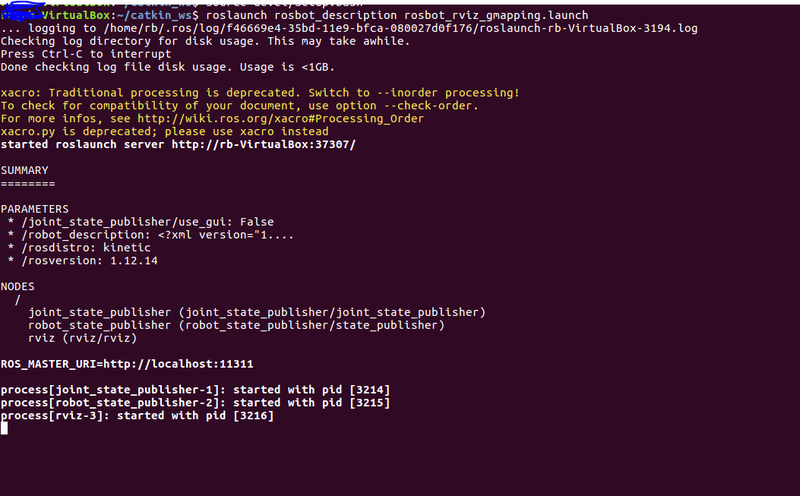 I am trying a few days to install the simulation for ROSbot2.0. I follow all instructions and errors that i’ve found on this forum and github like installing rosbot_description and tutorial_pkg and also do after ROS install DEP for all new dependencies package. 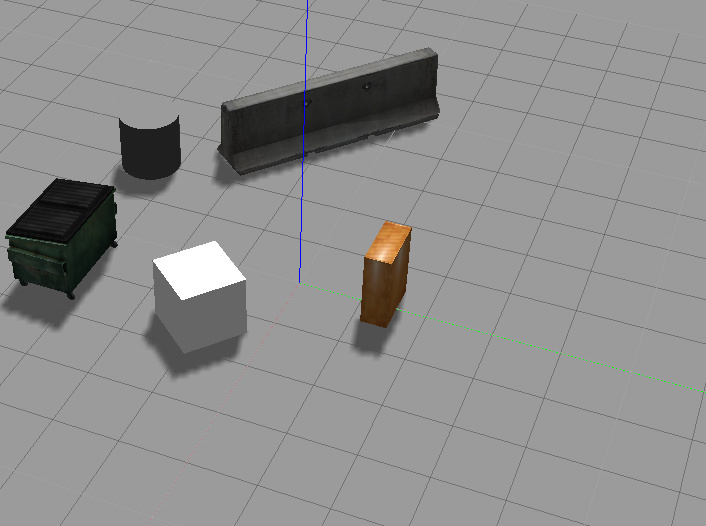 The problem is, i still get an error in Rviz (by robot model “No transform from [base_link] to [odom]”) and no Robot is visible in Gazebo(the environment is visible. I found out that there is really no clear manuel how to install that RosbotSimulation model from a clean full ROS install (i have kinetic). The robot is expensive and that manuel must be there in that way. So if someone would take time to subscribe how to install that RosbotSimulation model from a clean full install kinetic, i would be very happy and thankfull! Some will advise to use the Virtuel Box image that i can download from Husarion. But that is no option for me because i have to work with kinetic for some other reasons. Maby that github can be upgraded with a clear manuel. The manuel on github definitely is not good. 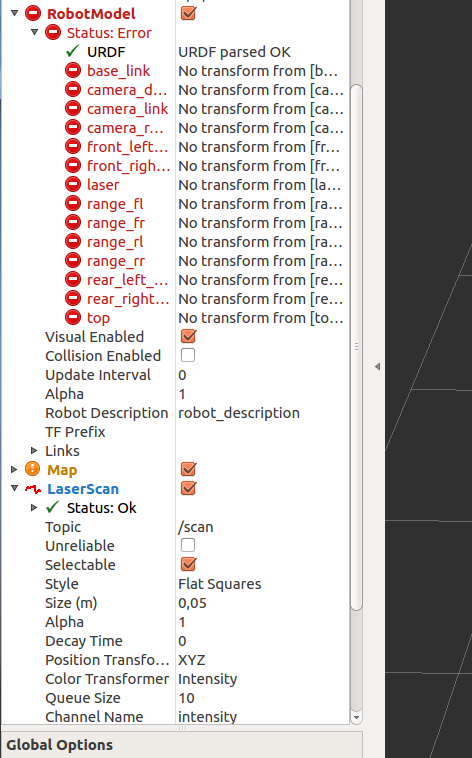 Could you check if scans from laser scanner are generated? Some graphic cards do not support the laser scanner plugin properly. You could switch the plugin to CPU mode following this guide. Could you provide here full output from roslauch? the problem is also there is no guide that says you have to add tutorial_pkg AND rosbot_description bove and then use rosdep . So please produce and send me a clear turturial by the ROSbot 2.0 product. 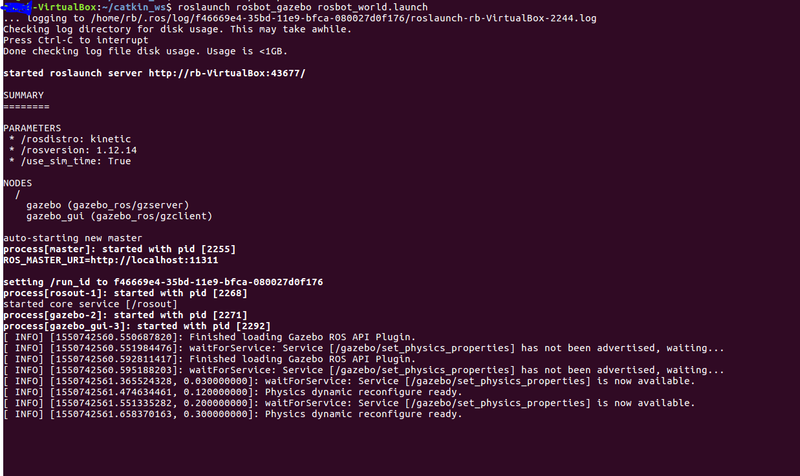 I have updated the simulation files in rosbot_description package. 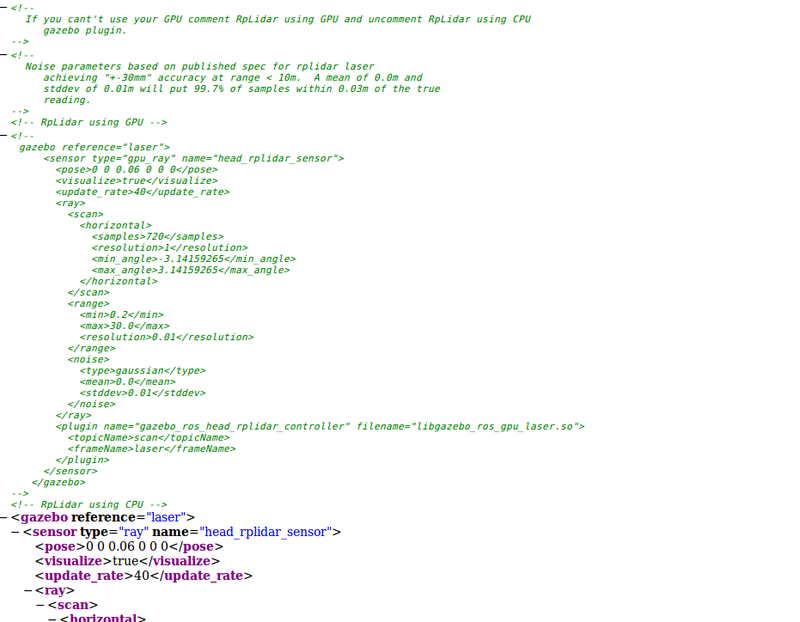 There is also an updated readme which explains how to install and use the simulation. 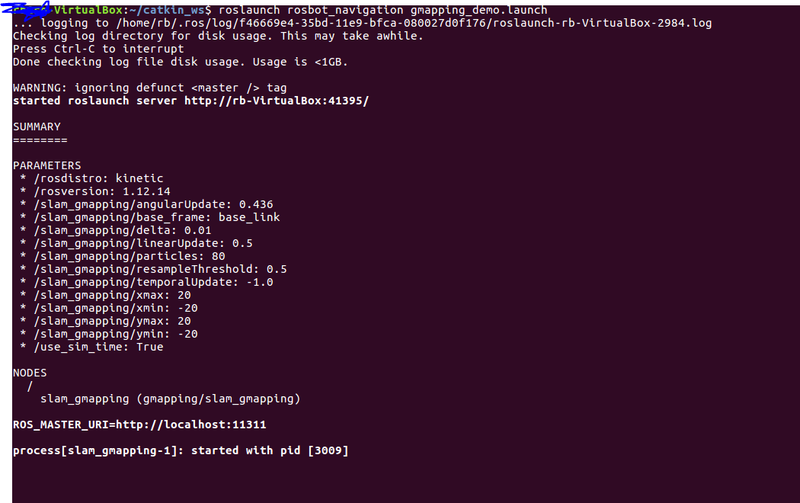 Now it covers all required steps to launch the simulation. Thanks that new manuel is the solution! it works fine now!